If you’re not going to add content to a blog or your social media, best not to have it. Just because you do add stuff to it, doesn’t mean it’s worth doing either. I’ll explain. I realised we hadn’t added anything to this blog for a while so figured let’s write about, why/if one should… this is my opinion only and not that of Voodoo so if I say anything untoward, send me a letter, I’ve gone fishing. OK, let’s get to it. Let’s assume you have a real estate website with a blog on it. Do you have any data to tell you for sure if it’s helping? How much traffic is it generating to your website? Of this traffic, how many enquiries is it generating? 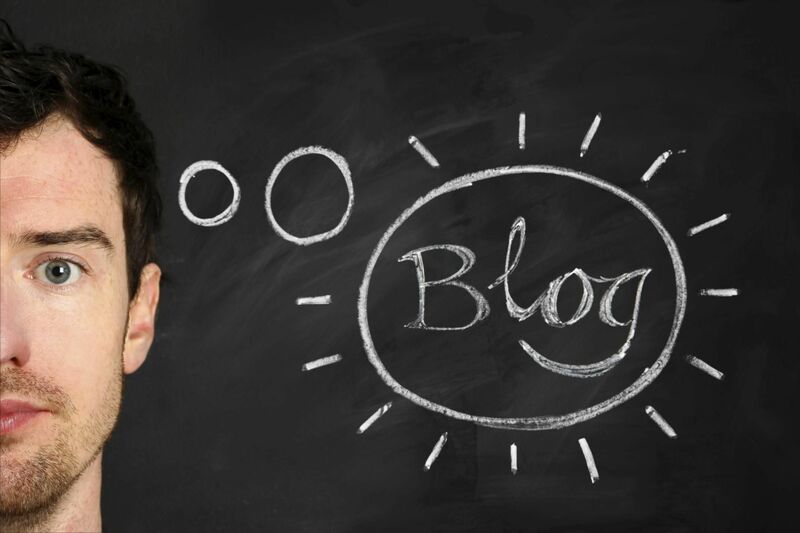 What is the “value” of a blog visitor? Most of our clients own or run real estate agencies which have the usual array of social media channels and blogs because.. erm, well, because other agencies have them. Regardless of whether anyone actually sees them, it’s easy enough to chuck half a dozen million euro listings on your Facebook post or Hootsuite them to a bunch of social networks (Google Plus, anyone? ), but blog posts are a whole different thing. There is much written about how “content is king” for SEO and how original content and well written, engaging blog posts can keep potential buyers coming back for more and in the meantime, Google will “see” this and start serving up your website when people search for stuff. When Bill Gates used the phrase back in ’96 by content he wasn’t referring exclusively to written content. I’m not going to debunk the “content is king” argument, I’m not even going to get close to it. The point is this: is your content really “king”? There are some estate agencies who really do add value to their blogs and invest thousands in adopting the “quality content attracts quality buyers who keep coming back for more” idea very successfully. Then there are agents who have a natural knack for writing and are passionate about sharing their industry insights. But these two are the exceptions rather than the rule. If your writing is terrible but you do have something to say you think is worth sharing consider a vlog. Nice short videos you can share on your social and finally something to add to your nasty YouTube channel which currently has he Marbella town halls “Marbella’s Happy” video. Even if you don’t have much to say, a short 20-second video of some Ferraris parked by the yacht-lined marina while beautiful people sip Martinis in swanky Puerto Banus will be infinitely better at selling the lifestyle than your fancy words about the chuffing Sardine Festival… Video is King. Long live the King. But for Pete’s sake, keep ’em short. My advice is, apply the principle for business success to “find a need & fill it” – do people really want to visit a real estate website to read an article rewritten, often badly? Wouldn’t they prefer to read the original story? If it’s for SEO, will Google really put you ahead of the Financial Times article you just spun? Are you filling a void, satisfying a need? One of the best arguments for having a blog in real estate is having relevant information people thinking of buying a property will find interesting, insightful, useful and above all fun to read. If this applies to you: crack on, just don’t leave it too long to write your next blog post. If it doesn’t: be brave, ditch it. You won’t catch fire, the world will keep spinning and Trump will still be orange. Blog PS, do they even exist, PS in blog posts I mean? Going back to the first set of questions, now that I think of it we CAN answer questions 2 to 7 after all.